Beaucarnea gracilis is a native to partial-desert areas in Mexico. Its name "gracilis", meaning "slender", is misleading, as its trunk is especially bulbous. 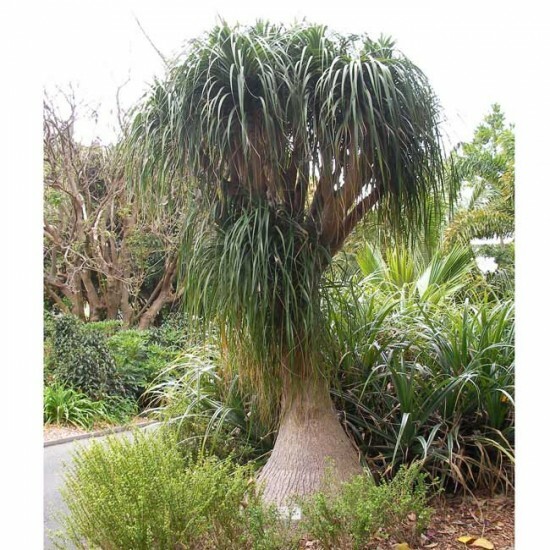 As a seedling, Beaucarnea gracilis grows as a tiny,bark-covered ball of succulent trunk, growing tufts of long, extremely narrow leaves. The trunk becomes extremely large, with a diameter of over 2 meters, and grows a sparse coverage of short and sparsely branching branches which can grow up to 6 or 7 meters. Thick tufts of leaves of up to 1 meter long and grow along the tops of these branches. The flowers are tiny, yellow and white and grow in vast numbers. It is extremely easy to cultivate, growing rapidly even in inhospitable environments and pots, and thus makes an excellent pot plant, willing to grow happily in a wide range of indoor settings. 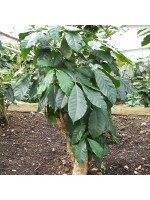 It prefers sandy soil, sunny position and infrequent watering, and will appreciate a cool (not cold!) wintering. Can cope with temperatures of -5°C for short periods, though not recommended.